This expansion kit is compatible with Critical Link’s MitySOM-335x line of Development Kits; one is required to interface with this expansion kit. 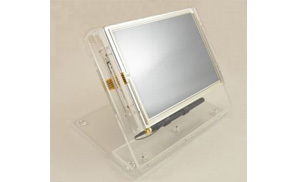 This expansion kit adds a 6.5″ 640 x 480 pixel VGA LCD display to the development kit. This expansion kit features a NEC NL6448BC20-21D display that includes the necessary controller board to interface with the 34-pin LCD connector on a supported development kit. Configuration and setup information for use with Critical Link’s development kits can be found in the data sheet for this expansion kit.